The holidays are upon us already! Where has this month gone? Heck, where has this year gone? Even though I love the holiday season, it is really easy to become overwhelmed with all of the things that need to be done–the decorating, the shopping. But, what I really love, is the partying! I feel like I haven’t done much cooking since Thanksgiving, so in order to get myself back into the swing of things, I volunteered to test a couple of recipes for the website Food52. 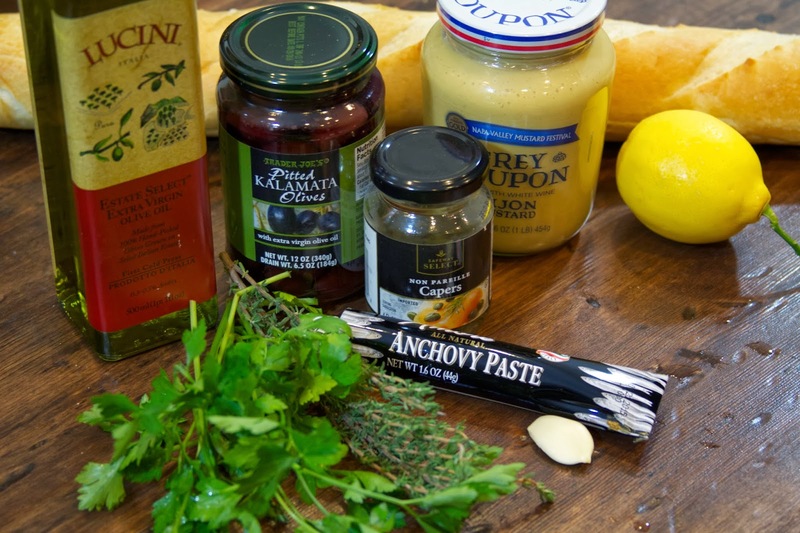 Both recipes I tested were not only flavorful and inventive, but were very easy to put together and perfect to make or take to a holiday party. 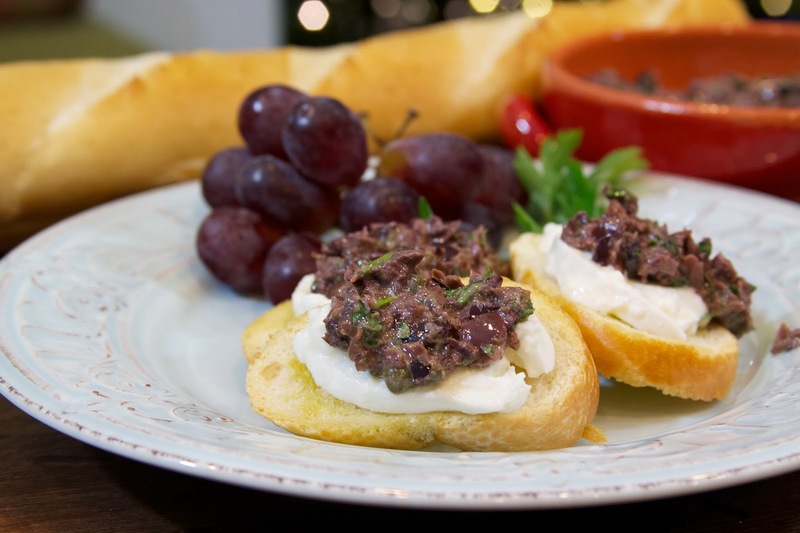 The first one is a crostini topped with creamy burrata cheese and an olive tapenade. The original recipe is here and since I was testing the recipe I made it exactly as written and didn’t make any changes. I think it turned out perfectly and I really loved how well the briny tapenade paired with the creaminess of the cheese. If you’ve never had burrata cheese, you must stop everything and make this right now! It is mind-blowing! Imagine fresh mozzarella cheese, but filled with rich cream inside. It is amazingly buttery and delicious! I was able to find burrata cheese at Trader Joe’s. If you have trouble finding it, fresh mozzarella may be substituted. 1. 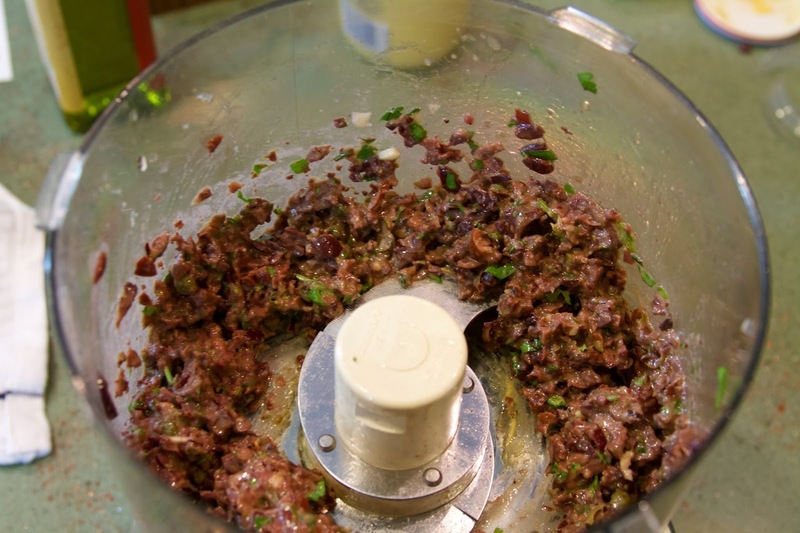 In a food processor, combine the olives, anchovy paste, capers, and garlic and pulse three or four times. 2. Add the lemon juice, dijon mustard, thyme, parsley and olive oil and pulse five or six more time until combined and the mixture is chunky. Spoon the mixture into a bowl and set aside to allow the flavors to mingle. 3. Slice the baguette into 1/2 inch rounds and brush both side of each round with olive oil. Place on a cookie sheet and bake for four minutes on each side (eight minutes total). 4. 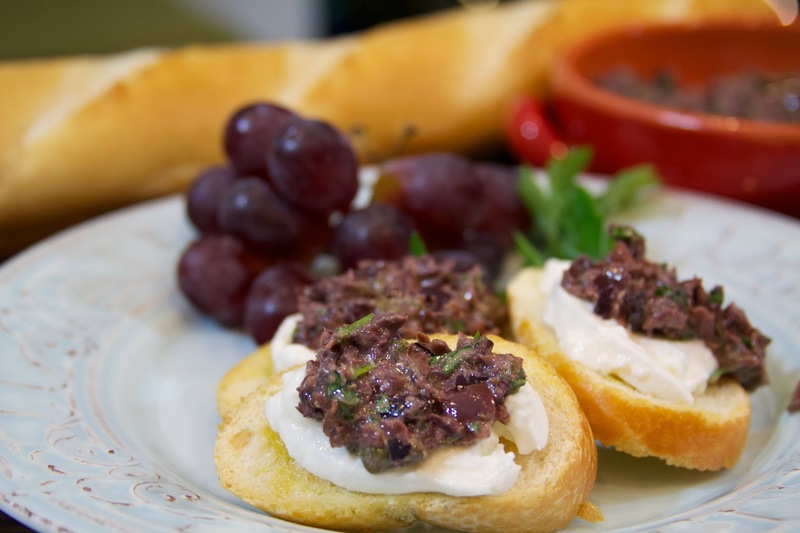 After the bread has toasted (spread each crostini with a bit of the cheese and then top with a spoonful of the tapenade. See what I mean about being easy? Now make this and take it to a party and wow your friends!